When you think of resorts with deck chair-surrounded pools overlooking palm trees and the beach you usually think South-East Asia, but much closer to home, on the North West Cape, is a resort which brings the luxury of foreign resorts to Exmouth. The Ningaloo Coast is one of WA's premier tourist attractions and for travellers to the Cape, Exmouth is the base. 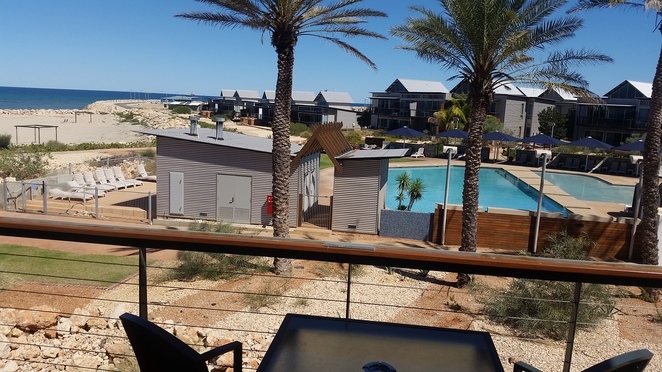 In Exmouth is the Novotel Ningaloo Resort, a 4.5-star beachside wonder perfect for kicking your feet up and forgetting the outside world for a while. Let's start with the all-important pool. Two big, blue squares sit side by side in the centre of the resort. One is a splash pool, the other a regular pool. By the side, a waterfall provides the sound backdrop and surrounding the pools are palm trees, sun lounges and deck chairs. Mantarays is the name of the restaurant and it is all class. I ordered the bouillabaisse and it was just perfect. Bugs, prawn, scallop, mackerel, it screamed Exmouth and hand a well-balanced kick in the sauce. For dessert, the textures of chocolate may sound like pandering to modern TV chef audiences but it will make your chocolate dreams come true. I will say the food is rather expensive, we spent more than $160 between two, but I didn't feel too bad parting with that amount for the quality on offer. Now let's get to the rooms. Every time I have been I have stayed in the top storey ocean view rooms. At $395 per night, they are not cheap but you'll be happy you did it. Immaculate bathrooms with a spa bath, very comfy and very big beds, a few Foxtel channels on top of the regulars, a nice couch inside and of course a balcony with deck chair and views over the resort and ocean. You can even order the perfect pillow. Nothing to complain about here. There are cheaper options, with price hunters able to find options from $260 standard rooms to $400 family suites. You will want to make sure your kids are of a mindset to appreciate the place otherwise it may be cheaper to find other options. 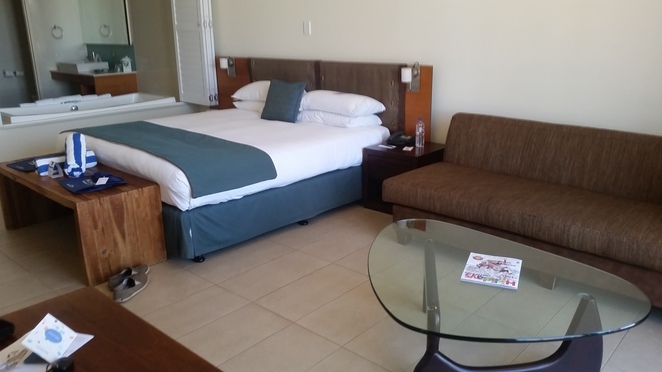 Other services include a gym, booking facilities for various activities around the North West Cape, free parking and WiFi. Yes, there is WiFi but it is not free unless you are an Accor member. Given the price you pay to stay there it is a bit rich to not offer free WiFi, but that is the joy of having no competition I guess. 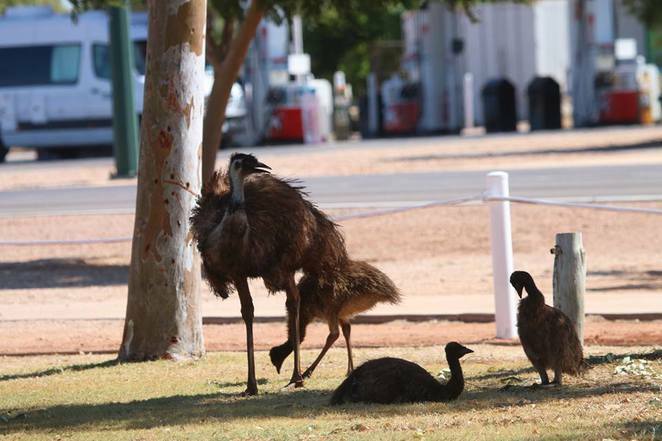 Of course, upon checking into your hotel Exmouth is the gateway to what is arguably Australia's best natural playground. The Exmouth Gulf with its beaches and world class fishing is right at your doorstep, just behind the town is the impressive and untouched Cape Range National Park and then there is the star attraction, the Ningaloo Reef, with its whale sharks, manta rays and humpback whales. 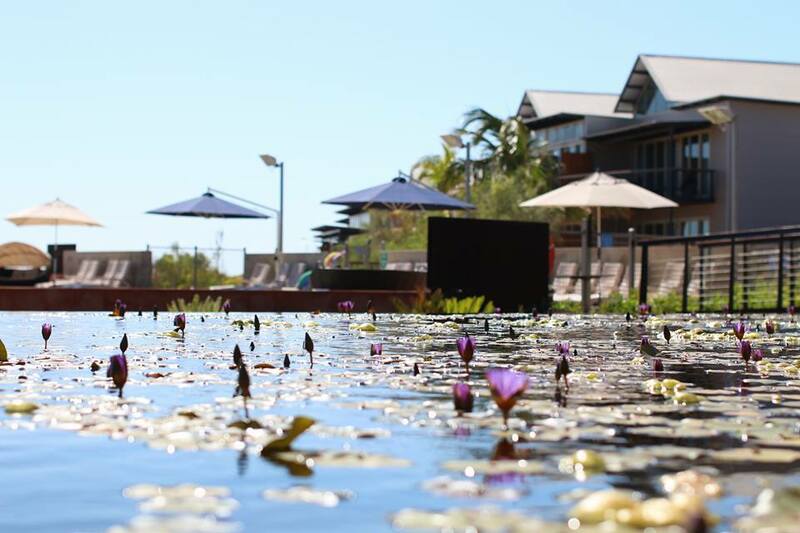 With so much world heritage a stone's throw away, it seems only fitting to stay in a world class resort too!